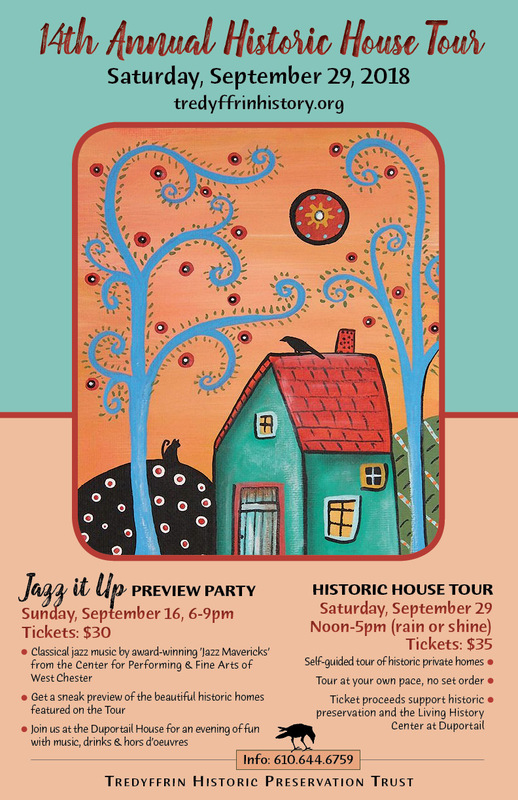 6th Annual Historic House Tour — 85% Jump in Ticket Sales from 2009! Looking outside today, what a difference a day makes! Yesterday was one of those magical days that will be remembered long after the final guest departed. This year’s old house owners on the Trust’s annual historic house tour were amazing – the effort and time spent on details by each of the homeowners was truly remarkable. With blue skies, summer-like temperatures and help from many volunteers, the house tour surpassed my wildest expectations. Using Community Matters, email blasts, the support from the local press – Main Line Media News, www.AroundMainLine.com and www.MainLineNeighbors.com, Conestoga Woodlea Civic Association, Facebook, Twitter, and word of mouth, this year’s tour literally ‘jumped’ in attendees and in dollars raised. There was a 85% increase in attendees from last year – 278 people paid for tickets! If I add the volunteers and homeowners, close to 350 people were on the tour. Proceeds from ticket sales, contributions and sponsorships totaled $11,000 from yesterday’s house tour and benefit the Jones Log Barn rebuilding project. Tredyffrin & Easttown Houses on Annual Historic House Tour . . . 7 days and counting! 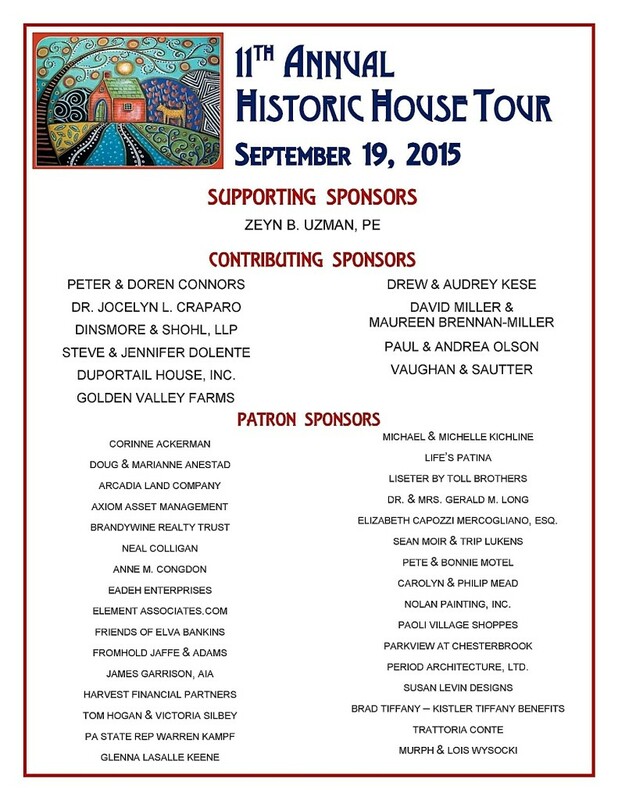 Thank you www.AroundMainLine.com for the press coverage of the 6th Annual Historic House Tour (article below). Sarah Lockard, the eMagazine’s CEO/President graciously included the House Tour online and thanks to her Twitter and Facebook accounts, the Trust’s House Tour information is going out to thousands. With a week to go . . . the ticket sales are starting to really take off! 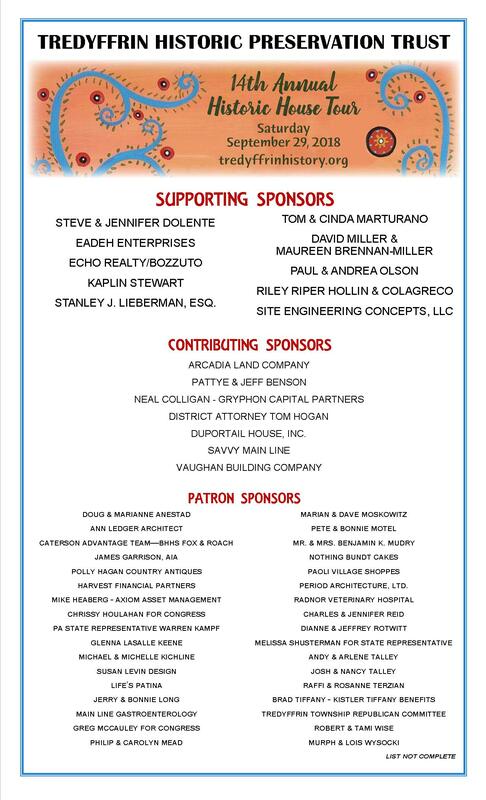 Please visit the Trust’s website, www.tredyffrinhistory.org to purchase your tickets. The first photo below is of the rear of Buttonwood Farm’s stone farmhouse and the second photo is of the interior of Buttonwood Farm’s ‘party barn’. Light refreshments will be served in the barn for visitors during the House Tour. 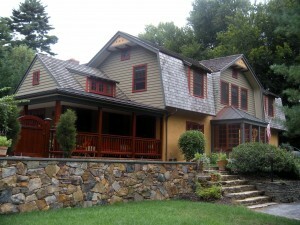 Remember, you can own a piece of Chester County history . . . Buttonwood Farm is for sale! 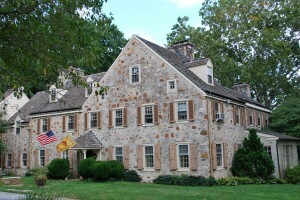 O ld houses tell wonderful stories, and the houses of Tredyffrin and Easttown Townships have many tales to tell. 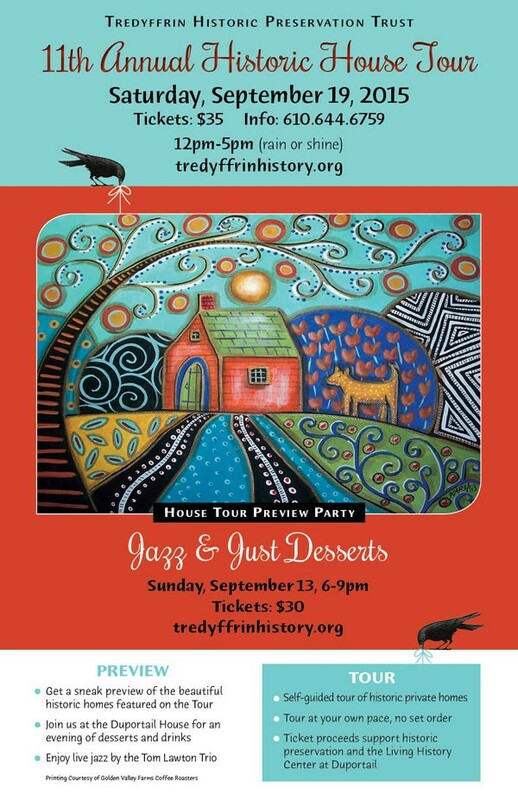 On Saturday, September 25, 2010, the Tredyffrin Historic Preservation Trust’s 6th Annual Historic House Tour will be opening doors to community’s past. 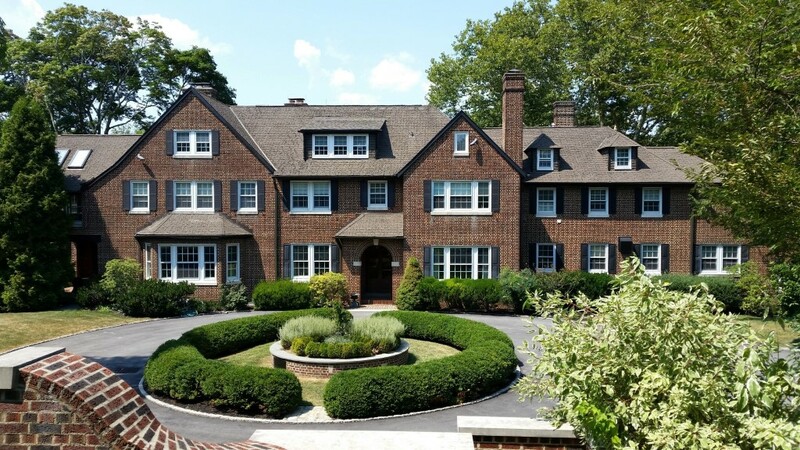 This year’s tour will spotlight Berwyn and Strafford neighborhoods by opening the doors to eight private homes; three homes in Easttown Township and five homes in Tredyffrin Township. Featured houses span 18th, 19th and 20th centuries and offer visitors an opportunity to experience Chester County history through original, restored and historically significant homes.